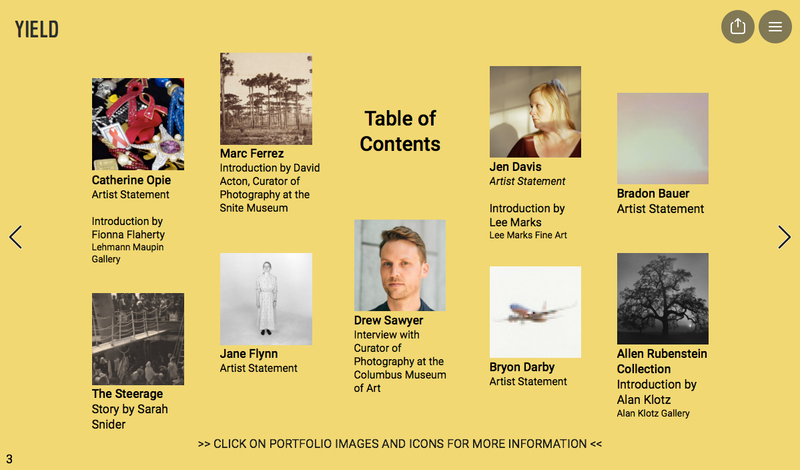 My 1000 Suns project was selected as a featured portfolio for YIELD #3! YIELD is a project of the Snite Museum of Art at the University of Notre Dame, they describe their mission as “Searching for the collectable in the digital age of photography”. Issue #3 also includes a Catherine Opie feature, a Jen Davis Feature, an interview with Drew Sawyer the Curator of Photography at the Columbus Museum of Art, a look at the Allen Rubenstein collection, a look at the nineteenth century Brazilian photographer Marc Ferrezan, an in-depth look at ‘The Steerage’ by Alfred Stieglitz, as well as two other portfolios by Bryon Darby and Jane Flynn.